Leslie Adami and Luis de León. Today is Leslie Adami’s last day as weekday morning news anchor and live noon reporter for KLBK News in Lubbock, TX. She’s heading to Austin, where she’ll join KVUE’s morning newscast “Daybreak” as a reporter MSJ. Adami had been at KLBK since graduating from UT Austin in 2016. She starts the new role on Monday, June 4. 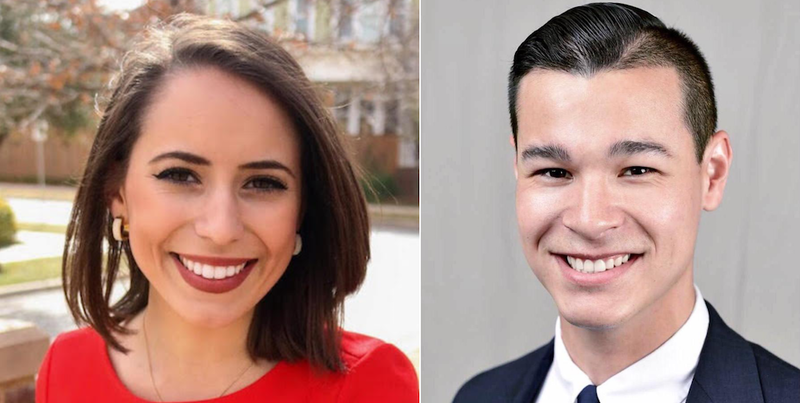 Luis de León is also coming on board KVUE as a reporter MSJ. A Salvadoran-American Wisconsin native, he’ll be moving from Milwaukee, where he freelanced at the PBS affiliate as an anchor and reporter over the past two years, while attending college. He starts his first full-time reporting job on Monday, June 18. If you’re wondering about the MSJ, that appears to be a new job description for multimedia journalists. It stands for multi skilled journalist.